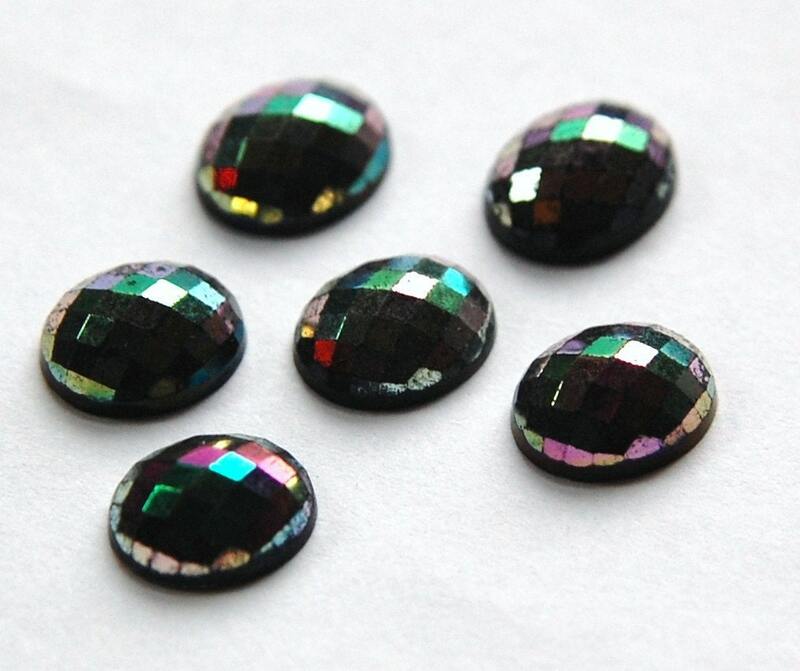 These are vintage black faceted glass cabochons. 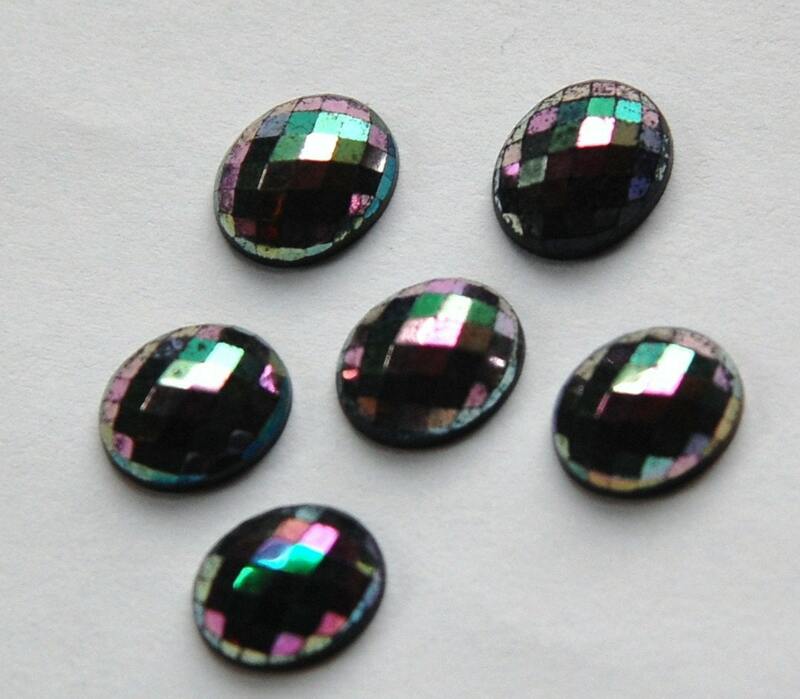 They have a colorful iridescent coating. There is some wear to the finish but they still have lots of sparkle left. These are flat back. They measure 10mm x 8mm. You will receive 6 pieces. This is my second purchase of these. Love them!